It took me way longer than I thought it would to finish “The Last Lecture” by Randy Pausch, however I have finished it and can now give you my closing thoughts on the book. 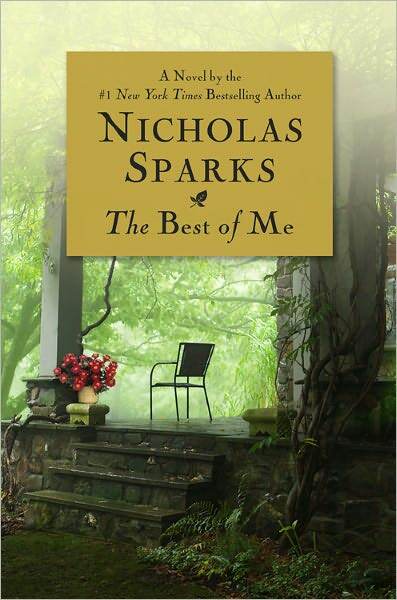 I thought overall the book was very good, a lot of life lessons that we often take for granted. It seemed like the ongoing theme in the book was to have fun in life and dream. We so often forget to do both, or give up on our dreams because too often reality sets in. In my last post I asked followers if they were to vanish tomorrow, what would be their last words of wisdom to those they were leaving behind? Maybe vanish isn’t the correct word, I’d have to go with die. If you were to die tomorrow, what would be the last words of wisdom you would leave as your legacy? ( I hate thinking about dying) but I’d say just let go to things that are holding you back, don’t hold on to things that happened in your past and just live. I know its easier said than done, because we are so defined by our experiences and so impacted by the people in our lives. I also recommend to not sweat the small stuff, because seriously life is too short. Mr. Pausch was dying of cancer, do you think towards the end of his life he was worried about the small stuff? I doubt it. I think about those dying of cancer and how those of us that are healthy are so quick to worry about the little things in life we make them big things. What I have learned too is that it is not the end of the world, you just keep going forward. What you might think is the end of the world yesterday, may not even phase you tomorrow. Also let go of the toxic people in your life that bring you down, you don’t need them, they do nothing to your personal growth. All these “words of wisdom” may sound cliche or redundant, but its true. Have fun even if you aren’t having fun, have fun. Be happy. Okay. I think I have given you all enough of my words of wisdom for one day. But I thank Mr. Pausch for his inspiration book and I now think of his family as they continue to go on with their lives. I dedicate this blog to Mr. Pausch. 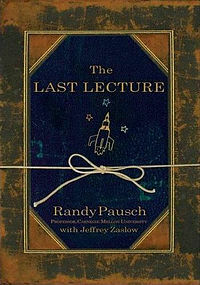 My July book choice is “The Last Lecture” by Randy Pausch. I chose this book a few years ago or so because it reminded me in a lot of ways of books written by Mitch Albom and I thought that this would be an interesting read. 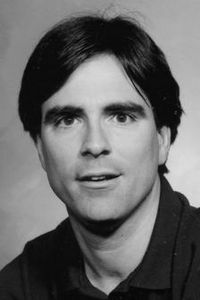 The book tells the story of late author Randy Pausch, who gave his “last lecture” at Carnegie Mellon. According to the book, a lot of professors are asked to consider their demise and to ruminate on what matters most to them. And while they speak, audiences can’t help but mull the same question: What wisdom would we impart to the world if we knew it was our last chance? If had to vanish tomorrow, what would we want as our legacy. Mr. Pausch, a computer science professor was asked to give such a lecture, he didn’t have to imagine it was his last since he had been recently diagnosed with terminal cancer. So while I read this book, I am asking my followers that are reading this post, if you were to vanish tomorrow, what would be your last piece of wisdom you would want as your legacy? I ask that each of you think of that, and I love to hear from all of you about it. I will think it over myself and in my concluding post on the book which I am hoping will be next week, I will tell you all. 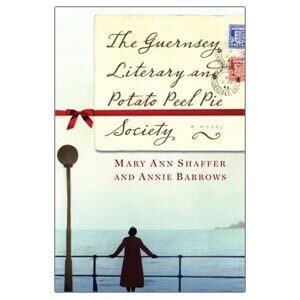 I hope you all follow along with me or at least consider this book as a good suggestion for a summer read.